It is one thing to bring people to your medical website; it is quite another to keep them there and turn them into patients. Of course your practice depends on converts, not visitors, so you need to find a way to get those visitors to buy your products and services. Although the magic formula will be different for each and every medical office, there are some overarching themes that you can apply to any medical website and marketing campaign to increase your success rate. Here are five things that you need to convert visitors to patients. Your website visitors are looking at your site as a microcosm of your entire practice. If the organization of your site is top-notch, then people will be more likely to believe that your medical practice follows the same standard. More than likely, it will, because organizing your website requires organizing your practice. Although every site will be different depending on the type of practice that it is representing, there are certain elements that every medical site should contain. Your website should not be the only method of finding you on the Internet. In order to build trust within your target audience, you must build a ubiquitous presence online. The more that your potential audience sees your brand, the more they will trust that brand. You can build your online presence through link building on a blog, viral videos, live events and many other outlets. Optimizing your online presence through a sophisticated link building strategy is essential. Make sure that all of your content on different platforms has links back to your landing page or to your sales page. There are many strategies that you can use to maximize your effectiveness in this, and you will usually need professional help to take advantage of every opportunity that you have. 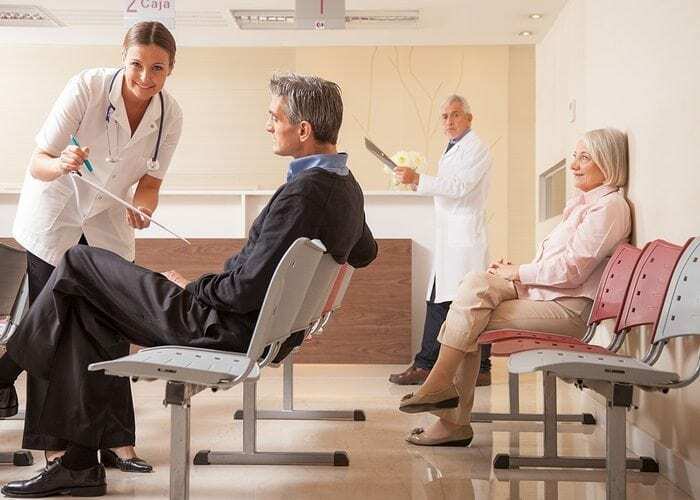 The majority of foot traffic for a medical office comes from the local community, and the decision to go to a medical or dental office is not a quick one. These decisions are thought out and planned, but when the need is there for a customer, it is usually a very high priority. You must take advantage of the window of opportunity that you have with each customer, and you have the technology to do it in a personalized way today. Localized promotions means that you can send a reminder message or a sale price to an opt-in list using smart phone apps that send out these messages based on the proximity of a person to the physical office. Even if they do not come at that point, you can put your practice on the radar of your patient again so that they think of you first when they need to go to the dentist. You can also use QR codes to localize your promotions strategy to keep from offering sales to people who are not within the local area. The QR code can send your patient to any page on your website that you choose, based on the research that you conduct on the most effective page on your site. Although you want to describe yourself and your practice well on your website, there is nothing that you can say that a happy patient cannot say in a more convincing way. Think of yourself as a patient: Would you trust a new doctor with plenty of patients giving you real advice about that dentist, or would you trust a dentist’s own word? Keep that in mind when you place your testimonials on your website and prioritize them accordingly. Do not be afraid to solicit testimonials actively from patients whom you know enjoyed your service. It is natural for people who are unsatisfied to immediately speak out, but people who have received good service may require a bit of prodding in order to make a statement. Some of the most savvy offices will actually have a testimonial ready for the patient to sign. Your call to action is the most important part of your conversion process. You need to make sure that your call to action is on its own separate page, along with a smaller call to action on each page of your website. You never know when a potential patient will finally decide to convert, so do not make the mistake of waiting until the end of the sales funnel to offer a sale. Your call to action page must be clear and to the point. Do not try to fool your audience into clicking the conversion action button by covering the sales page with information thinking that they will somehow convert because they are confused. People are keen to these tricks in the modern online landscape, and you will only alienate yourself from your potential audience if you try to do this. Finally, make sure that your call to action is specific. You will need to determine what this call to action is based upon the marketing campaign of your specific office, but it should be consistent and specific. Make sure that you stick to the same message throughout all of your advertisements, smaller calls to action and final call to action. Consistency breeds trust within your audience, especially in the dental industry. You have only 3 to 6 seconds to convince a visitor to your website to stay and eventually buy products and services from you. In that time frame, you must answer the question that the customer does not even know that he is asking himself: “Why would I choose you?” If you are looking to tell your story to your customers from the first page to the last, Optimized360 has the dedicated staff and the experience to make it happen for you. Give Optimized360 a call or an email today to start getting things done!